As part of our promise to our customers, we stick to heritage methods that use a little bit of technology and a lot of tradition, intended to make milled products that are as close as possible in flavour and nutritional content to the unmilled grains. We grow most of our grain on our own land and buy from other local farmers when needed. At harvest time we take down the grain and dry it in storage bins for one to two weeks, depending on how humid the weather’s been. From the storage bins the grain moves through the cleaner, where screens filter out everything except perfectly-sized grains. The grain is brought up to room temperature and further dried before it makes its way to the first mill. We grind our grain with two electric mills with pink granite stones. The first mill uses 12” stones with a wider gap between them, so the grains heat up only slightly during their first grinding. The grains cool down as they flow through to the second mill, where 20” stones with a smaller gap grind the flour to the fine consistency our customers enjoy. This gentle, two-step process keeps our tasty grains from overheating as they’re milled so our flour retains the majority of its flavour, proteins and nutrients. 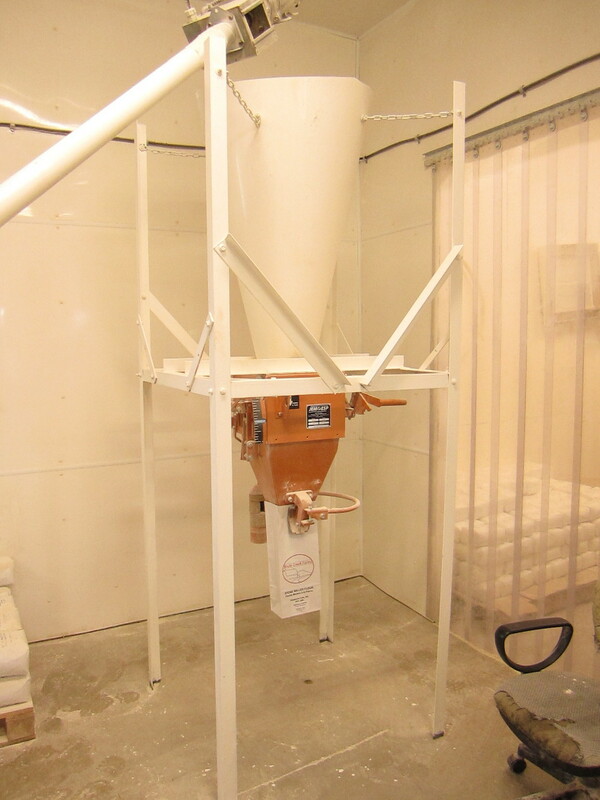 After milling all of our flour goes to the sifter. 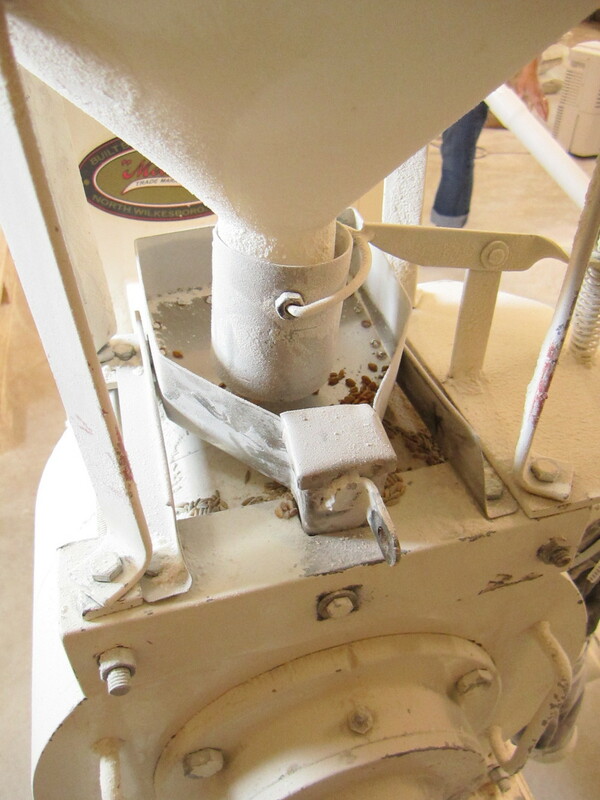 This is where the coarse bran is removed when we’re making Partially Sifted Flour. Despite its name, Whole Wheat Flour is sifted as well; a coarser screen leaves the bran but removes any remaining impurities. From the sifter, our flour is bagged. Weights cut off the flow of flour when the bags are full. We grow all of our grain on our farm located just past Kakabeka Falls. At harvest time we harvest the grain and dry it in storage bins for one to two weeks, depending on how humid the weather’s been.